Michelle began playing cello at age 11, and at age 17 she left home to study cello performance at Brandon University, and then at Wilfrid Laurier University. To raise money for tuition while attending Osgoode Hall Law School, she busked in the Toronto subway. Passersby who heard her cello music asked her to play for their weddings, and she has played for weddings ever since. Most music for voice or a melodic instrument, such as flute or violin, can be played on the cello. As the cello is the instrument that sounds most similar to the human voice, vocal music sounds lovely on the cello. 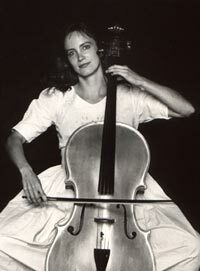 Michelle often plays cello for outdoor wedding ceremonies, and occasionally for corporate events. The instrument's resonant tone adds a warm ambience to the environment.